It's beginning to look a lot more like Spring! Looks like we will have another little cool front come through which will hopefully bring more rain. We had a great time at the Tropiflora Plant Show this past weekend and besides selling a lot of our own stock, Mitch was able to pick up a few rarities to add to his collections, which always makes him very happy :). We are looking forward to being back at the St. Pete Market this coming weekend now that the Car race is over. 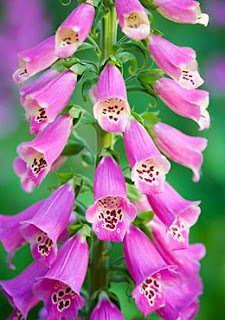 We continue to bring in some great Spring perennials, such as Foxgloves, Delphinium and Cone Flowers. We have some beautiful Eucalyptus trees left, along with the gorgeous Ficus Ali. We are also working on Bamboo specimens to have available at market in smaller containers that are very affordable. We are also on the countdown to our favorite local show, the Green Thumb Festival, that runs in Walter Fuller Park, the west side of St. Pete. The show is Sat/Sun, April 25 &26th. We will be there with a large booth, along with many other great specialty plant vendors. Don't forget to bring a cart !